Should we shut down negative or traumatic stories about birth, especially when we are expecting? Or are we missing an opportunity to clarify our own needs in preparation for a positive birth? And do we risk silencing women whose voice desperately needs to be heard, in the process? We saw on Instagram recently, a comment that we often hear expressed. A woman was wondering why people share horror stories about birth – why does everyone share the negative stories when they see a pregnant woman? She wrote that a pregnant woman needs to be immersed in stories of how amazing women’s bodies are, how beautifully our bodies can work, how joyful birth can be. And she is, of course, right. But a pregnant woman will still find it hard to avoid negative stories of birth when she is out in the world. So, is there any benefit to these stories? Could these stories actually support a pregnant woman? And are we doing potential damage by shutting these stories down? How can we protect ourselves from the horror stories? Understanding WHY women do this might help protect and support a pregnant woman who encounters them. We know, after 15 years working with women after a traumatic birth, that the reason women tend to dump negative birth stories on other people is generally because they have not been supported to debrief and process their experience. So they keep telling it, and telling it, waiting for someone to validate them. And they might not even know they are doing this! Women often say they no longer had the need to share their horror stories after coming to our group…because now they had been heard, and they could begin to move on. And interestingly – once they understood what actually happened for them and why they were so impacted by their births, once they had attended our sessions and moved down the path towards healing…they changed the way they told their story anyway. It became less of a horror story, and more of a narrative of a key moment in the woman’s life, told with less intensity and more reflection, and the insights that come from taking the healing journey. Why are these stories important? The negative stories are important. Partly because women need to be able to tell the truth about what happened to them. And partly because in the telling, if they are met with compassion and understanding and validation, their healing can begin. Women need to be able to tell the truth about what happened to them. These stories can offer insights into a woman’s experience. If you listen carefully, you can hear the fear and pain and hurt behind their words, even if they are telling their story jokingly. A gentle word, a kind “I’m so very sorry that happened to you”, can offer her a chance to be heard. She might brush it off, but it might just plant the seed that it is okay for her to be impacted by what happened to her. And if you listen even more carefully, you can hear what is important about birth: being empowered in your decision-making, feeling supported and safe, feeling able to ask questions, and feeling central to the experience. Did she have any of that going on for her? We ourselves both needed to hear many, many positive stories before our own positive and empowering births. It is vital to hear stories where women are supported, and encouraged to follow their bodies, and empowered to ask for what they needed, and feel they are in a safe space. In our antenatal sessions at Birthtalk.org, we have always made a point of immersing women in stories and photos of positive, supported birth, to normalise this and counteract our culture. And it works. But we also supported our course attendees to understand that any negative birth stories they encountered in their everyday life were an opportunity for them to think about what their own needs were, and how to communicate them. A ‘negative’ birth story is really the story of a hurting mother. She is not trying to crush you, but because she is fearful, and likely doesn’t understand what happened to her, she might try to ‘save’ you. A ‘negative’ birth story is really the story of a hurting mother. She may have felt violated by the very people she put her trust in, perhaps having things done to her without consent and against her rights, and wants to help you avoid such a situation. Or, if you are presented with stories that come from hearsay from the sister’s husband’s neighbour’s workmate, about a woman’s dramatic birth…then best thing is to say, “That poor woman – I really feel for her!” and let it go… because you can’t possibly know if the story is true, or exaggerated, or missing vital information. does it sound like this woman felt safe? did this woman have a relationship with her carers where she could ask questions and feel informed? do YOU have that relationship with your health carers? Are there questions you need to ask your health carer but have not felt they would be welcomed? did this woman have a relationship with her carers where she could be heard and felt her body autonomy was respected? Do you need to think further about whether your carer can meet your needs? is the situation that this woman was in a common one? Do you need to do some evidence-based research, and ask your health carer of the likelihood of this happening, to put your mind at ease? does her story bring up your own uneasiness with issues around certain things like dealing with pain, feeling heard, or having your partner involved? Do you need to do some work to answer your own questions and fears in these areas? Is this how birth is? Perhaps the most important question to ask yourself is this: is this woman’s story just ‘how birth is’? Is this woman’s story just ‘how birth is’? Or is it ‘how birth was for this particular woman in this particular scenario with the childbirth education she was offered and her relationship with her health carer, and her health carer’s philosophy and her hospital’s policies and the kind of support she had from those around her, and all the things that added up to this being her experience’? Once you look at it like this, you can feel so much more empowered and proactive to try and create a situation where you can work towards having the best support, the most optimal environment and the best information to work towards an empowering birth. There is room for the positive stories. We need them. They shine a light on how birth can be a transformative event, taking us into motherhood feeling strong and ready for anything, even if the birth was not straightforward or did not follow the expected path. There is room for the negative stories too – they are important. They matter. They show us that ‘birth matters’…by illustrating what the impact can be when birth is experienced as a traumatic or negative event. Negative stories show us that birth matters. And by making room for them to be heard, we let these women who tell these stories know that THEY matter. In enabling them to be heard, you can validate their experience, and that might just offer them the first steps towards healing. And healing will likely change the way they tell their story – rather than coming from a place of fear, trauma or confusion, to telling their story from a place of insight, understanding, healing and empowerment. Bottom line is: birth matters. Women matter. Through both positive and negative stories, we can support each other to a new place of healing and knowledge about what is important in birth for women to emerge whole. 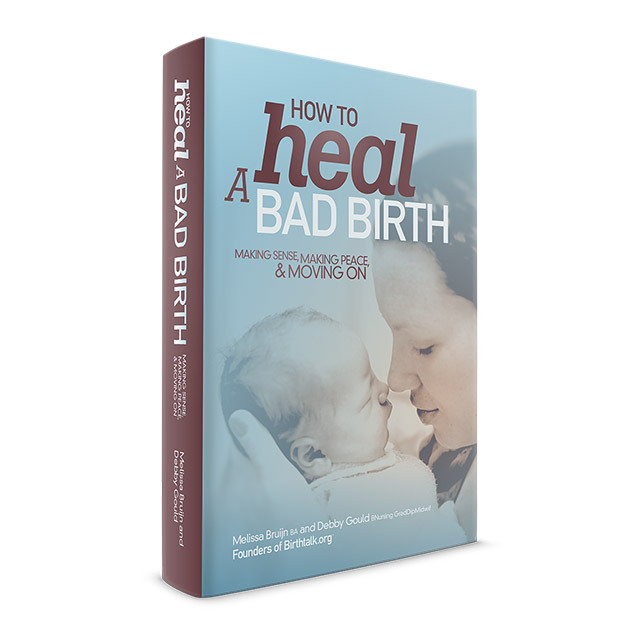 ← Why can’t I just accept my traumatic birth?